A post by resident plant expert Claire Akin of the Fiddle Leaf Fig Plant Resource. The soil you choose may be one of the most important decisions you make for the health of your fiddle leaf fig plant. 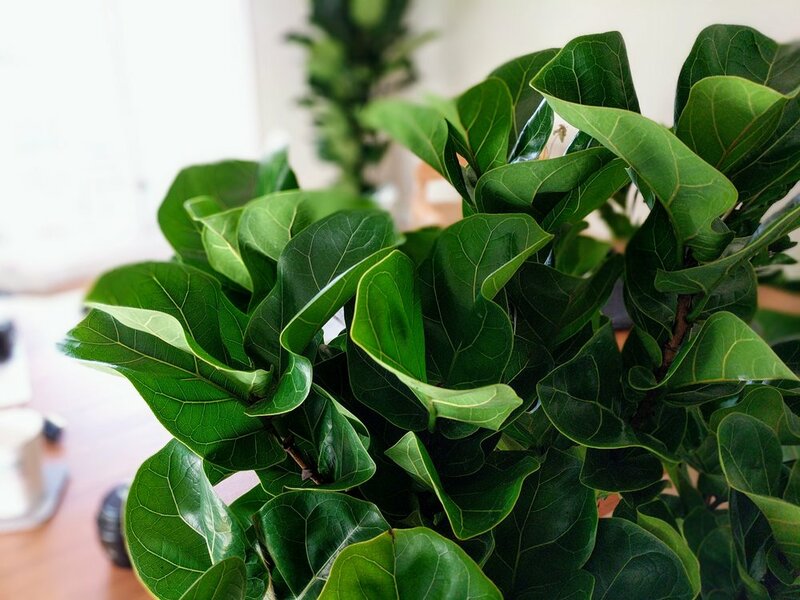 Fast draining, well aerated soils are the best choices for a fiddle leaf fig, which prefers relatively dry soil to keep its roots moist but not wet. Poor soil can cause problems with root aeration, bring fungus or bacteria into your plant’s root system, or harm your plant with salts or other chemicals. Which Soil is Best for Your Fiddle Leaf Fig? To do all four of these functions well, you’ll need a versatile soil designed for house plants. Be sure to choose a fast draining soil when possible to reduce your risk of root rot. Most houseplant soil blends combine perlite to aid with faster drainage and peat moss to retain moisture. Any good houseplant soil mix will work for your fiddle leaf fig. Some house plant enthusiasts get into mixing their own soil, but I’ve found that purchasing a top-quality commercial soil provides equal results. MiracleGro indoor potting mix is specifically designed to provide aeration, fast drainage, and nutrition for your plants, while being resistant to fungus and gnats. The best soil in the world won’t provide a healthy environment for your plant with inadequate drainage. Make sure that your plant has appropriate drainage and that the roots can breathe. Keep in mind that soil will only provide nutrition for your fiddle leaf fig for the first three to six months, so you will need to fertilize your plant to make sure it gets adequate nutrition. If your plant stops producing new growth or its leaves begin to yellow, it may be a sign that it’s lacking nutrients.